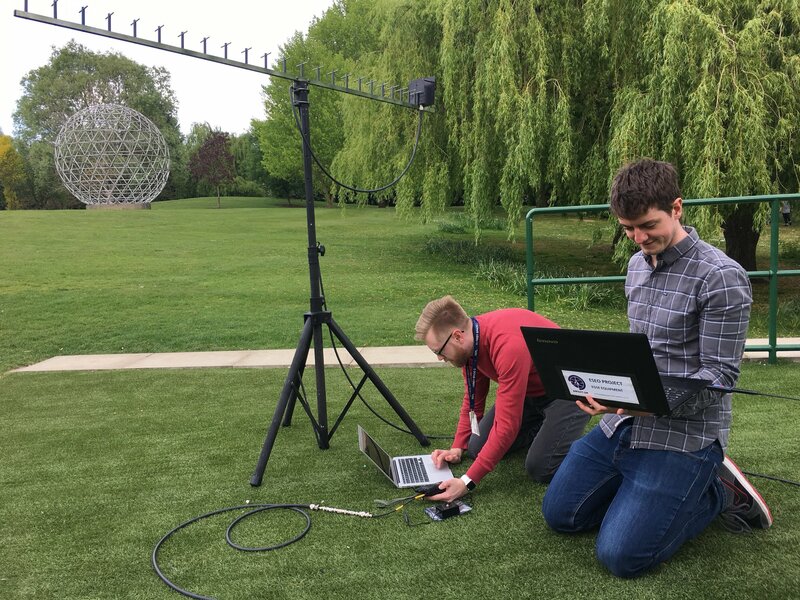 The European Student Earth Orbiter (ESEO) satellite carries the AMSAT-UK FUNcube-4 amateur radio 1260/145 MHz FM transponder. On September 27 it successfully completed the vibrations test. In the past few years, ten student teams from different European universities have combined forces to produce essential equipment for the spacecraft, including subsystems parts, scientific or technology demonstration instrumentation, and the ground mission control support for this micro-satellite mission, planned to fly to Low Earth Orbit later this year. The project reached an important milestone on August 28, 2018, when the assembly integration of the ESEO spacecraft was declared complete. In this phase all the satellite’s physical parts were assembled together, and all functional interconnections were checked to confirm they work as required. On September 27, 2018 ESEO reached another key milestone, when it successfully completed the vibrations test campaign at SITAEL’s premises in Mola di Bari, Italy. ESEO has now demonstrated that its design is solid enough to safely withstand the mechanical solicitations it will undergo during the rocket launch. In the next couple of weeks it will undergo the so-called thermal vacuum and electromagnetic compatibility (EMC) tests at ESA’s ESTEC site in the Netherlands. 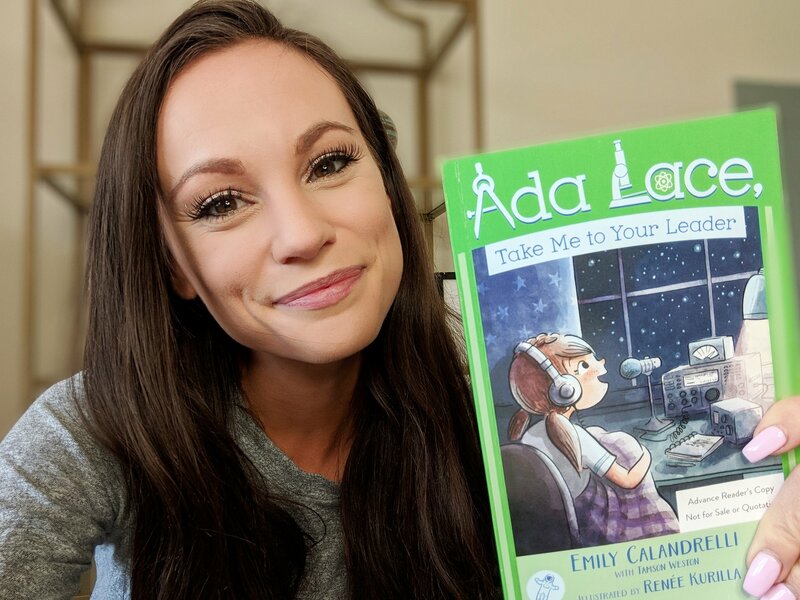 Ada Lace, Take Me to Your Leader is a new book written for young people by Emily Calandrelli KD8PKR that features amateur radio and space communications. Ada is an 8-year-old with a knack for science, mathematics, and solving mysteries with technology. Her latest project is to fix up a ham radio, something that she could use to contact people on this planet and beyond. 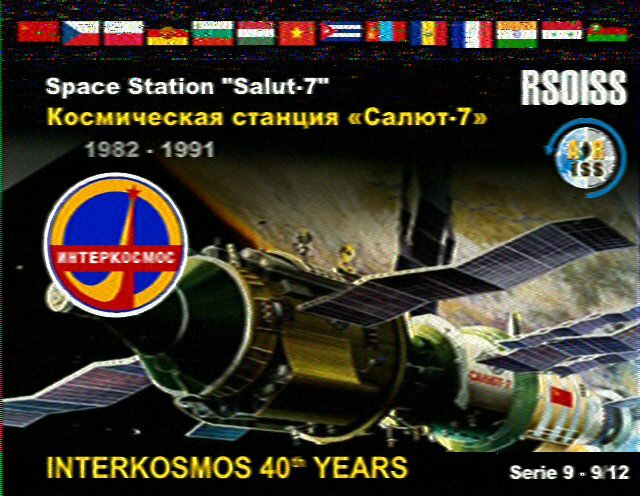 Radio amateurs around the world are receiving Slow Scan Television images on 145.800 MHz FM from the International Space Station. The transmissions by ARISS Russia are in celebration of Cosmonautics Day and should continue until 1820 GMT on Saturday, April 14. Pete M0PSX of Essex Ham reports receiving good pictures using a colinear antenna. Edmund Spicer M0MNG, a regular guest on the bi-weekly ICQ Amateur Radio Podcast, received an image at 1730 GMT on Wednesday, April 11 using a 5 element ZL Special Yagi and a FT-991. He said it was probably the best quality image he’s ever received from the ISS. Others have reported receiving images using just a $35 Baofeng UV-5R VHF/UHF FM handheld radio and 1/4 wave antenna. Radio amateurs David Honess, M6DNT, and Tim Peake, KG5BVI / GB1SS, have been inducted into the prestigious CQ Amateur Radio Hall of Fame. The CQ Amateur Radio Hall of Fame honours those individuals, whether licenced radio amateurs or not, who have made significant contributions to amateur radio; and those amateurs who have made significant contributions either to amateur radio, to their professional careers or to some other aspect of life on our planet. 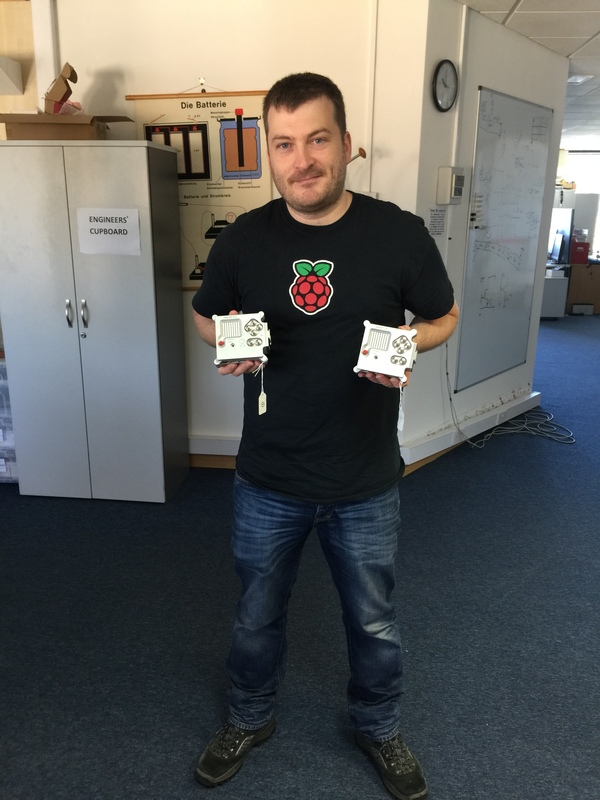 David Honess, M6DNT, developed the Astro Pi project which sent two Raspberry Pi computers to the International Space Station as platforms for students on Earth to write and run their own computer code in space. In November 2016 he was honored for this work with the Sir Arthur Clarke Award, presented by the Arthur C. Clarke Foundation and the British Interplanetary Society. 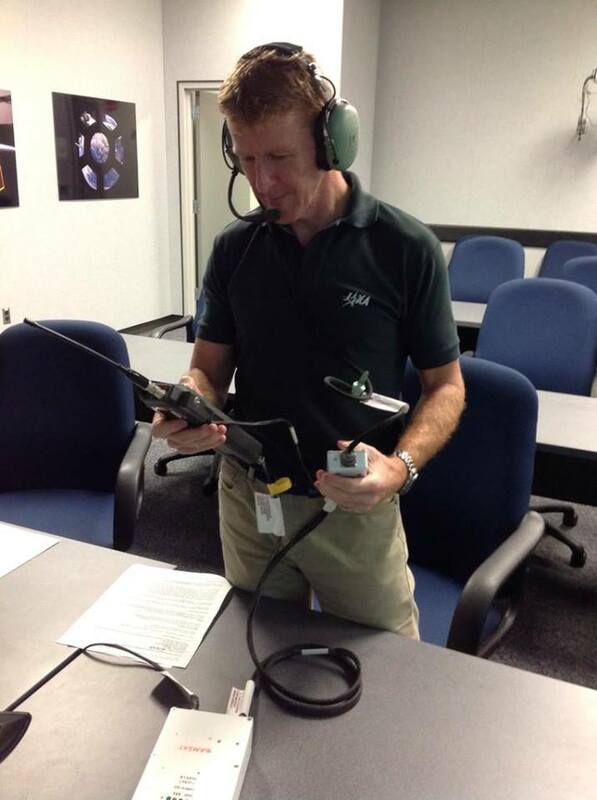 UK astronaut Tim Peake, KG5BVI /GB1SS, coordinated the International Space Station end of the Astro Pi project. Tim was very active in the ARISS program during his mission on the ISS. In his free time he used the amateur radio station in the Columbus module to talk to students at schools in the UK and around the world. These contacts included the first use of Digital Amateur Television (DATV) transmissions to schools from space. Students at Sandringham School plan to launch a High Altitude Balloon with a Raspberry Pi payload into near-space and transmit back pictures. The downlink from the balloon is expected to be in 434 MHz and at the maximum 30 km altitude the radio signal should have a range of up to 800 km enabling reception by radio amateurs across the British Isles and into Europe. The launch is planned for Science Week, March 13-17, and the students will use the download data they collect from near space for analysis and use in lessons. The UK Space Agency’s Astronaut Flight Education Programme Support Manager Susan Buckle will be giving a presentation at the RSGB Convention on Saturday, October 8. 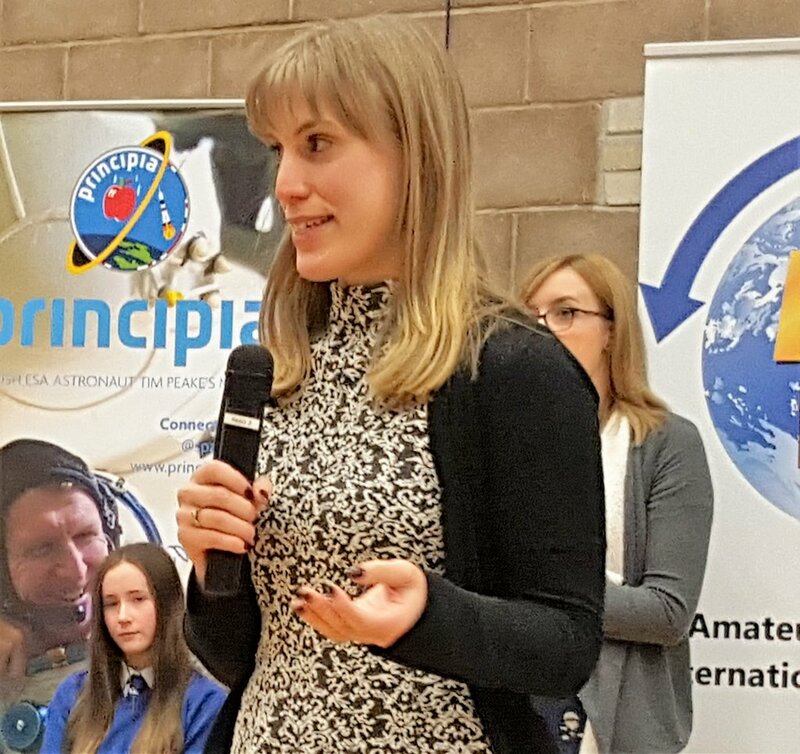 Along with Ciaran Morgan M0XTD she will talk about the ten UK ARISS amateur radio school contacts with astronaut Tim Peake GB1SS during his Principia mission on the International Space Station. These contacts have inspired thousands of young people and introduced them to amateur radio in a new and exciting way. An RSGB video celebrates these historic school contacts and the range of linked activities the schools have enjoyed. 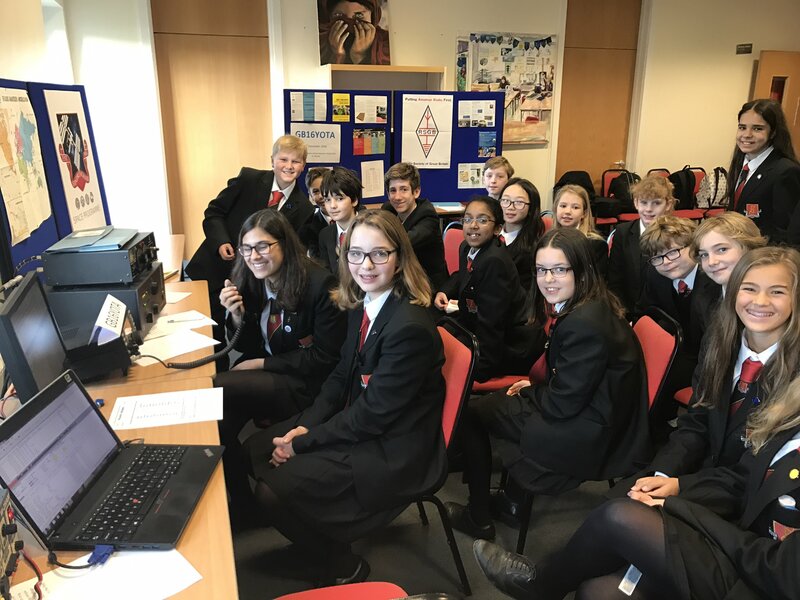 Beginning with the exhilaration of the launch, it follows the competition for schools to host the ARISS contacts, and showcases the variety of science, technology, engineering, maths (STEM) and arts activities that helped pupils to understand more about space and amateur radio. The contacts themselves, often led by newly-licensed pupils, were the successful culmination of many months of work and anticipation.